Sets the drawing gradient to have a conical shape. x, y The center position of the conical gradient. Angle.f The angle (in degrees) at which to start the gradient. 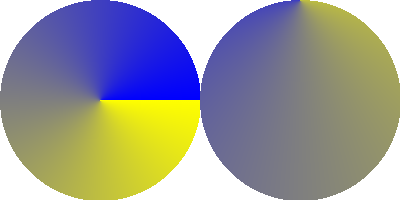 The gradient starts with the current background color at the given angle and then changes towards the current front color counterclockwise until the angle is reached again.